Left to Right: Razzle Dazzle, Torrid, Lemon Sorbet, Sublime, Envy, Drama, True Blue(favorite), Grape Pop, Matte Violet and Matte Black(favorite) - Like seriously, that Matte black is so pigmented it can replace my NYX e/s in Black! It's so nice to meet real, genuine people... I wish you many of them in your life. Oh boy, there's my handwriting haha. This look makes your eyes look even more incredible! I love it! 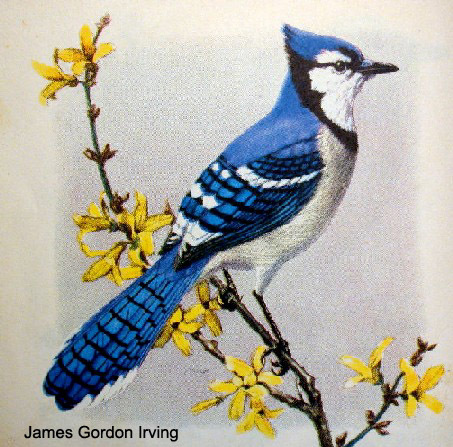 And it's an amazing representation of the blue jay. Beautiful look! It's a lovely interpretation of the picture. I didn't think I'd get this excited about mattes, but I really am! Gorgeous!!! You're right about the sugarpill comparison. <3 As always a brilliant creation. WOW that looks so beautiful. You are so talented! Must say this, I love when you're doing looks in blue! So good for your eyes! I'm confused though, is this the same Calypso Minerals that kind of scammed everyone a couple of years back? OMG! I love love love this look and those shadows looks like you're going to have some fun with! And I just can't wait until your next look using them! @17162961924793d08c5ce02353103222 Yes, it's the same company.